(IOP). Left untreated, glaucoma can cause blindness. What's the difference between glaucoma and ocular hypertension? Ocular hypertension is another term for high eye pressure. In ocular hypertension, IOP is higher than normal but does not cause optic nerve damage and vision loss. Ocular hypertension is a risk factor for glaucoma and should be monitored closely. Why does my eye doctor want to do more than one kind of glaucoma test? The two most common types of "glaucoma tests" performed during a routine eye exam are non-contact tonometry and applanation tonometry. In non-contact tonometry (NCT), an instrument emits a quick puff of air toward the surface of your eye. Nothing but air touches your cornea. Though NCT typically is a very accurate way to determine the pressure within your eye (intraocular pressure, or IOT), it is considered a screening measurement. The "gold standard" method for measuring eye pressure is called applanation tonometry. In applanation tonometry, the instrument that measures your IOT has a small sensor that gently touches the surface of your eye. If you have NCT performed during your eye exam, your eye doctor might want to recheck the pressure measurement by performing applanation tonometry (especially if your NCT measurement is borderline high). 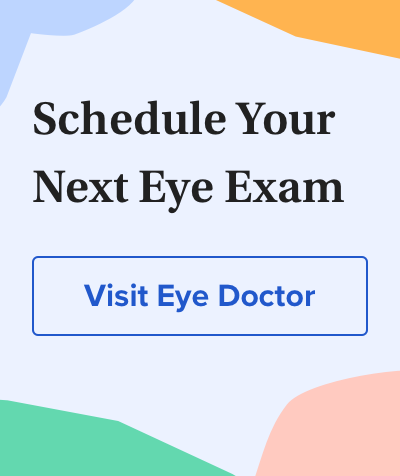 Your doctor may also want to dilate your pupils to directly examine and photograph your optic nerve, or to check for vision loss with a visual field test. Who is most at risk for glaucoma? If you're over age 60, African-American, diabetic or have a family member with glaucoma, you are at higher risk for glaucoma than others. Is there any way to prevent glaucoma? Though it's unclear whether glaucoma can be prevented, you might be able to reduce your risk for the disease by maintaining a healthy lifestyle. "Though many researchers are studying whether certain nutrients might lower a person's risk for glaucoma, no definitive evidence currently exists to support using nutritional supplements as a means of preventing glaucoma." says Dr. Burt Dubow, optometrist and AllAboutVision.com editorial advisory board member. "My recommendation is to avoid smoking and excessive alcohol, eat a healthy diet, keep your weight down, exercise, and see your eye specialist on a regular basis to monitor your eye health." There are usually no signs that you're developing glaucoma until vision loss occurs, which is why it's so important to have regular eye exams. Your eye doctor can detect and treat high IOP before it progresses to optic nerve damage and vision loss. Primary open-angle glaucoma (POAG) is the most common form of glaucoma. The other types are: normal-tension, narrow-angle, closed-angle, congenital, pigmentary and secondary. Vision loss from glaucoma cannot be reversed. Routine eye exams are essential to discover glaucoma early and begin glaucoma treatment before significant vision loss has occurred. What glaucoma treatments are currently available? Doctors usually prescribe special glaucoma eye drops that reduce intraocular pressure. These are used one or several times a day, depending on the medication. If the drops don't work, surgery may be the next step. In some cases, surgery might be the first option for glaucoma treatment. Can marijuana be used to treat glaucoma? The possible use of marijuana for the management of glaucoma has been debated for years. Interest is based on studies that have shown cannabis, when smoked or ingested orally, is capable of mildly reducing IOP for up to four hours. However, the current consensus among clinicians is that medical marijuana needs further research as a therapeutic agent for glaucoma, and that it currently does not appear to be as effective as FDA-approved glaucoma medications and treatments. Can I have LASIK surgery if I have glaucoma? People being treated for glaucoma typically are not good candidates for LASIK. This is because a suction device is used on the eye during the creation of the corneal flap during LASIK surgery, and this briefly causes a significant increase in IOP. But you might be a candidate for another type of vision correction surgery, such as PRK, which does not require the use of a suction device.